Sarkhej Gandhinagar Highway, Ahmedabad, India 382210. Cinema is one of the greatest modern arts. It is a widely consumed medium and perhaps the most influential one! Cinema, like poetry, has been a medium of individual expression portraying the world we live in. Whether it is Hero’s journey, a romantic angle, social commentary or Sufism, our movies have often used poetry, songs and music to convey the emotions. Film songs have been an integral and pivotal element of our cinematic narrative for years. Whether it was Raj Kapoor’s Nehruvian socialism, Guru Dutt’s angst against the establishment, Hrishikesh Mukherjee’s well-known ‘middle cinema’ or Gulzar’s intricate take on human emotions, the stories are told with songs and music. Legendary lyricists like Shailendra, Hasrat Jaipuri, Shakeel Badayuni, Sahir Ludhianvi, Majrooh Sultanpuri, Gulzar, Javed Akhtar etc have penned some of the greatest songs in Hindi Cinema that are nothing less than great poetry. Even in today’s cinema, lyricists are contributing a deal to the film narrative and message. 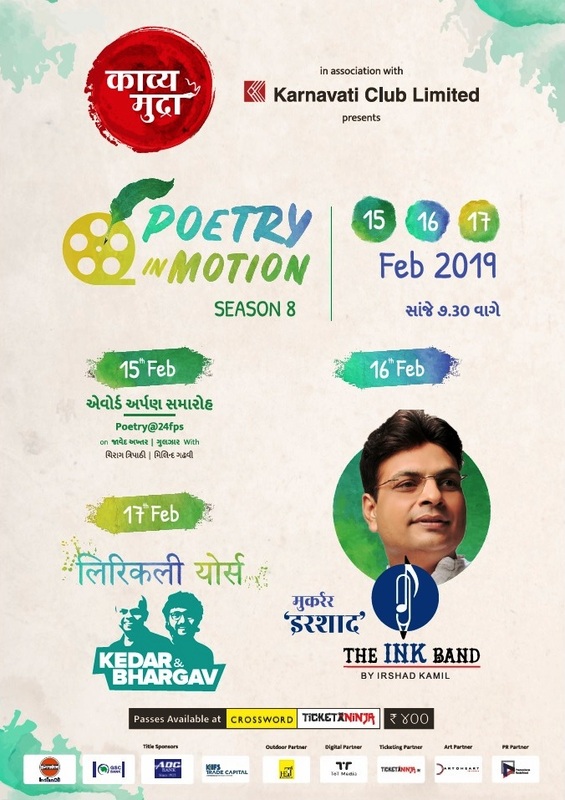 With its 8th season this year, Kavya Mudra is celebrating poetry in cinema. Lyricism in cinema is like poetry in motion; a perfect blend of words and visuals. We invite you on this poetic and cinematic journey.